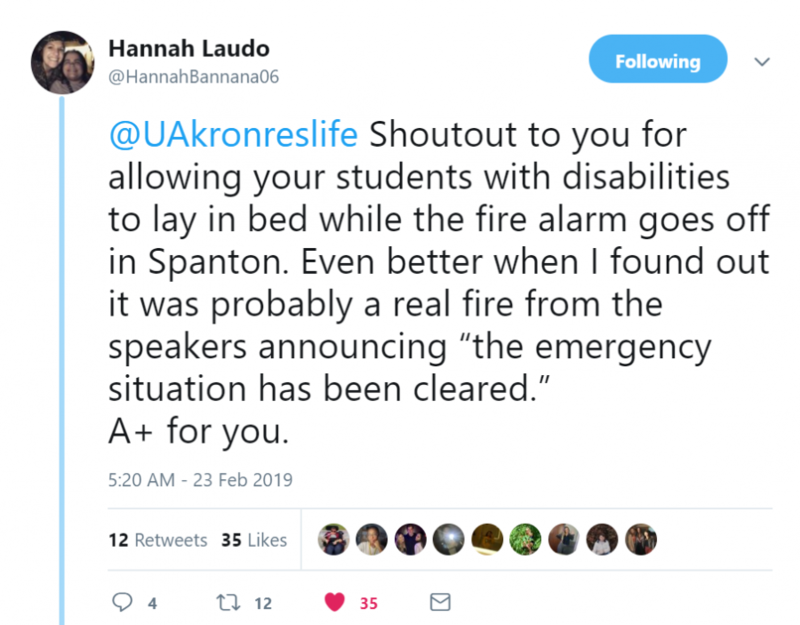 Hannah Laudo, a senior at The University of Akron with Cerebral Palsy, was screaming for help when the fire alarm went off in Spanton Hall. No one came. Hannah Laudo (left) tells copy editor Megan Parker (right) about her experiences with accessibility at The University of Akron. This article is part one of a two-part series. 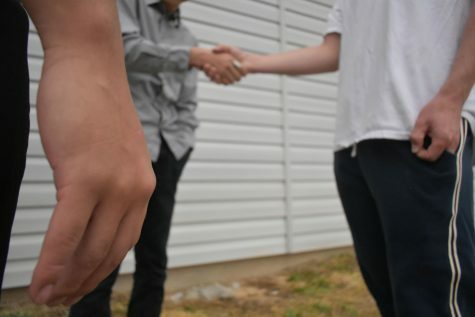 Part one covers the incident from the perspective of the student. 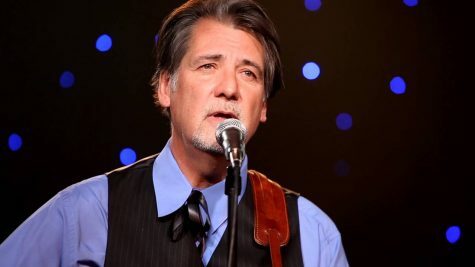 Part two will cover the response from different departments at The University of Akron. 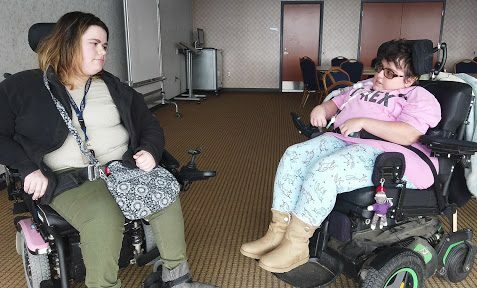 A University of Akron student with disabilities was left in her dorm room despite yelling for help due to a fire alarm that went off in Spanton Hall on Feb. 23. 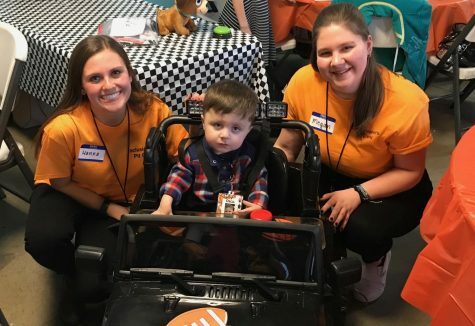 Senior Hannah Laudo, a social work major about to graduate in May, requires a wheelchair for mobility, along with physical assistance with transferring into and out of her wheelchair, due to Cerebral Palsy. Hannah Laudo enjoys driving around campus when the weather is nice with a drink from Starbucks in her hand. Outside of those times where Laudo has assistance, she is completely independent in terms of getting across campus, attending classes and sleeping throughout the night, thus being able to be left without an aide. 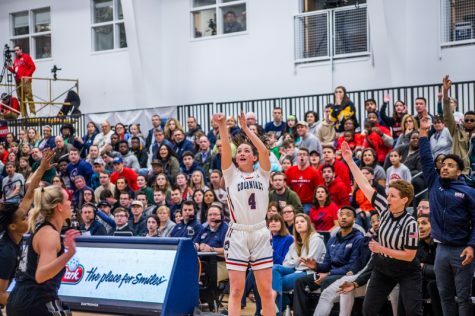 Throughout her entire college career at UA, Laudo has stayed in the same dorm room on the first floor of Spanton Hall, where she is able to exit a building without worry of emergencies situations as long as she is psychically in her wheelchair. While this is not the first time that Laudo has dealt with a false fire alarm in Spanton Hall while in bed, this is the first time the incident could have been worse had there been an actual fire. According to Laudo, the fire alarm went off around 7:30 in the morning, a few hours before her aide would arrive to help her get out of bed for the day. 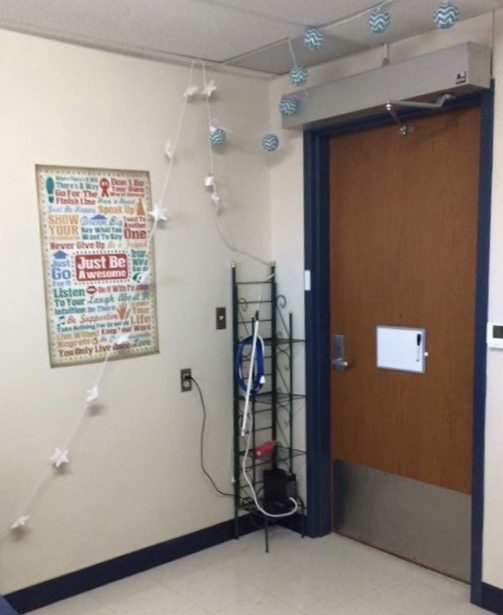 With a button provided by accommodations from the Office of Accessibility, Laudo is able to open and close the door to her room without having to physically push the door. When Laudo is resting in her bed, her chair is parked across the room next to the door in order to charge for the next day. Unfortunately, no one heard Laudo yelling for help, which resulted in no one checking on her during what appeared to be an emergency, or even afterward when the loudspeakers had announced that the situation was cleared. Later that day, Laudo said she went to the front desk in Spanton Hall to ask what happened and why no one checked to see if she was safe, but the people at the desk had no idea what she was talking about. In order to file a complaint about the situation, Laudo had to go to a completely different building on campus: where she was met with apologies but no solutions or answers on what had happened. Laudo later learned that officers from The University of Akron Police Department were actually inside the building but was told that they did not hear her. She also took to social media to air frustrations on UA’s handling of the incident and shed light on her experience. A similar situation occurred during Laudo’s freshman year while her mother was on campus due to difficulty finding aides to cover all the shifts required for Laudo to live independently. 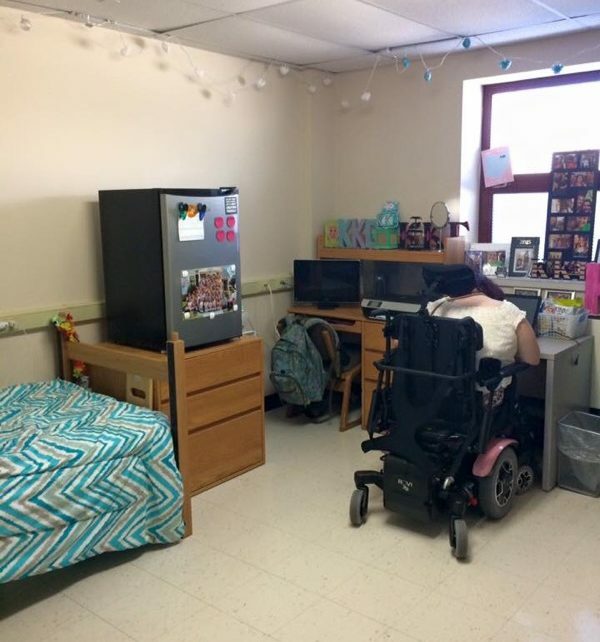 Hannah Laudo’s dorm room in Spanton Hall is set up similarly to a traditional dorm, with extra room for her wheelchair to freely move about. 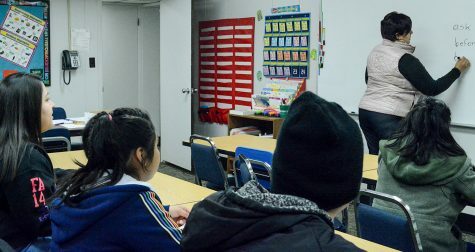 Before moving into the dorm, Laudo said her mother informed the resident assistants that if an emergency situation were to arise, someone would need to see if she was safe or not. One late night while Laudo and her mother were in the dorm, the fire alarm went off. Laudo said her mother waited for a minute to see if someone was going to come to the room: again, no one did. “Finally, she just got me up and the RA was standing there, just holding the door open and smiling,” Laudo said. After this incident, Laudo said her mother went to the residence life coordinator. Since then, the person holding that position has changed three times and may not have been made aware of the situation. In general terms of campus accessibility, Laudo said she rates UA four out of ten due to this situation and previous issues she has had with getting around on campus. 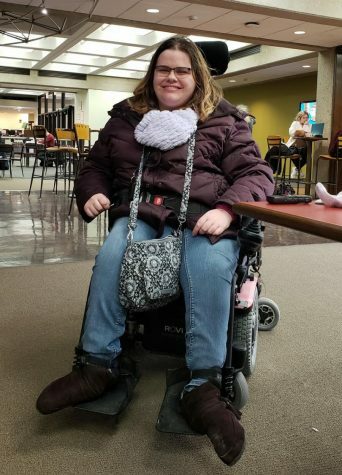 One instance of difficulties getting around on campus occurred after snow left the sidewalks covered to the point she had to drive her motorized wheelchair on the street, Laudo said. “So we literally had to go in the street because the sidewalks were so bad. When we got by the Rec Center, I got stuck by where those trees come out of the sidewalk,” Laudo said. Laudo’s friend had to leave her in order to find the nearest blue emergency call kiosk to call UAPD to help. An officer eventually arrived and was able to help get Laudo’s chair unstuck. 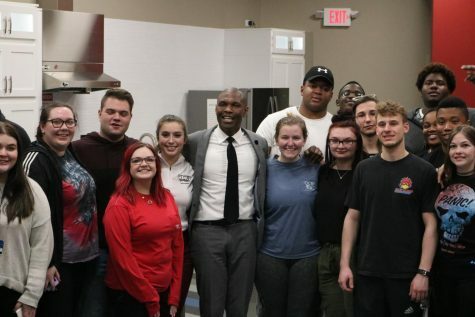 Since the false fire alarm on Feb. 23, Laudo has been in contact with members from the Undergraduate Student Government and the Office of Accessibility. 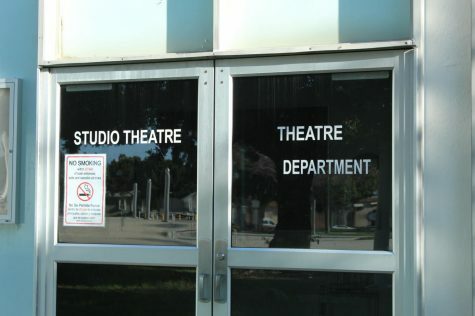 When asked to comment on the situation, the Department of Residence Life and Housing declined and instead referred The Buchtelite to the Office of Accessibility. Overall, Laudo hopes that the University will listen to her story and make changes for future students with disabilities so they don’t have to go through a similar trauma in emergency situations. 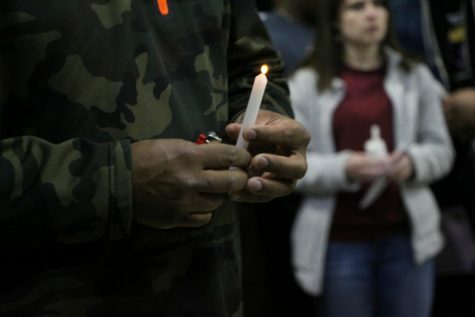 The Buchtelite will follow up on the University’s response to the incident and report on steps UA is taking to prevent such instances concerning students with disabilities from occurring in the future. 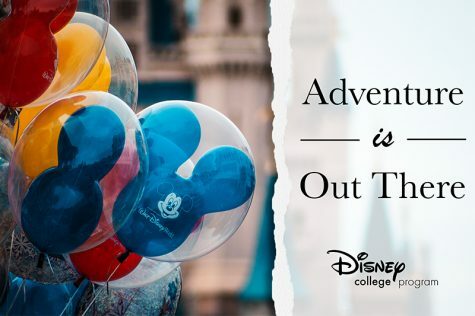 This story was originally published on The Buchtelite on March 12, 2019.